Back home from a hectic week in Vegas for WPPI and feeling glad to been there representing Sony, tired (these things always knock me out) and was anxious to get home to Nicki and the kids. While I spent a LOT of time in the Sony booth, I did get a chance to browse the trade show floor and I saw a few things that I wanted to share. 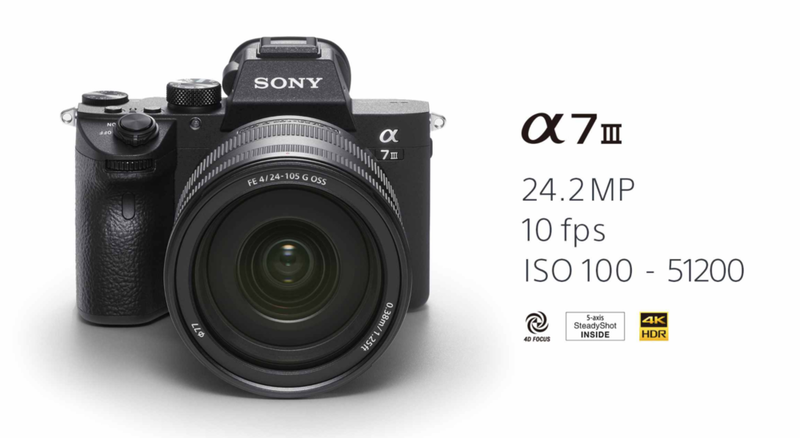 1) Of course I have to start with the “Bell of the Ball”, and that is the announcement of The Sony a7III. This is going to bring a ton of wedding and portrait shooters into the Sony fold if they have not come over already. For under $2k with dual slots, the fast battery, joystick controller, 10 fps, silent shooting, insane 4K video, it’s just the most value for dollar of any brand on the market. No doubt about it. Check out the article I wrote on my blog regarding this camera and it’s high ISO performance. 1a) Sony announced their new transceiver flash, the HVL-F60RM, which is a 60 Guide Number flash. It also features the companies unique swivel bounce feature and 3 LED lights which can also provide low light focus assist in AF-S mode of shooting which is perfect for wedding photographers. They’ve also added an external battery pack to help power hungry wedding shooters speed up recycle time. One of the small but very important upgrades is the addition of more metal around the foot of the hotshoe which should make the unit more robust than others that do not have that improved foot. 2) I spent some time in the Madera Books booth and was incredibly impressed with the quality of materials and workmanship in their products. The “flush-mounted” albums (the one that mount a complete sheet of photo paper to a board and then are bound) are thick and substantial and have a real boutique feel to them. They’re a smaller company that is creating some wonderful books. It was also great to reconnect with Jessica Claire, who’s brother in law Michael Norwood is the principal with the company as well as Victor Sizemore, a destination wedding photographer. Both I have known for nearly 15 years and they are doing such wonderful work and nice to see them sharing their love of Madera at the show. (That is the thing about the WPPI experience. It is in Vegas and that is typically a Love/Hate thing for most folks but the best part of it is seeing old friends who consistently come here (and my friends in the photo equipment industry). 3) Speaking of books, I ventured over to my friends at Graphi Studio and saw their unique presentations. They are truly the most unique ways to present albums that I have ever seen. They’re not books in the classic sense, but instead they are pushing the boundaries of what people perceive of wedding albums and the results were astonishing. Very stylish yet timeless and with leathers that are quite wonderful to the touch. But the thing that knocked me out the most was the Amalfi Paper in a Japanese bounce book style that they displayed on a destination wedding by the talented husband and wife team of Two Mann Studios. The range and vibrancy of the prints. Lovely to see Maureen Neises with GraphiStudio who is in charge of their US office. 4) My tripod sponsor Sirui USA was on hand and they reported that sales were brisk (they were selling through retailer Samy’s Camera who had a booth). I’m glad to see folks starting to discover this gem of a company. Not only is Paul Zakrewski, their marketing director, on of the nicest people in the business, they make some insanely great tripods that hit a sweet spot for price and performance. I absolutely love using their Video Monopod and their Tripods for my stills and video work. They showed a prototype 3 way head which should be of interest to landscape and interior photographers. 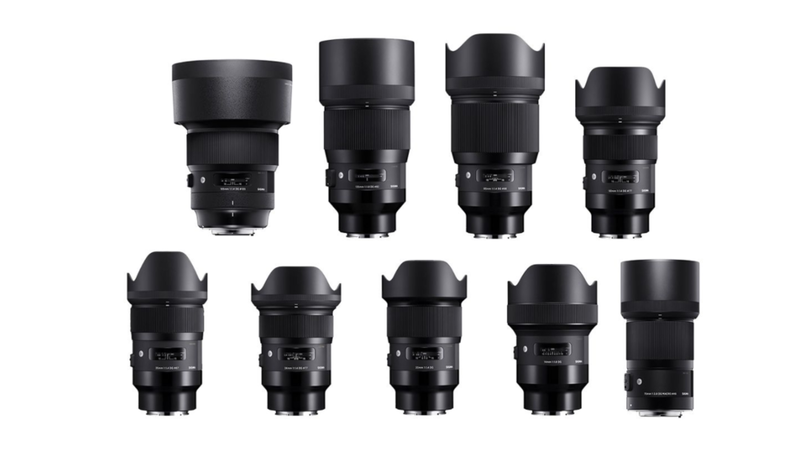 5) Sigma announced that they are coming out with 9 new lenses (prime lenses from 14mm to 135mm!) in their highly acclaimed Art Series made natively for Sony E mount. This is huge because it shows that more and more companies are realizing that Sony is in it to win it. Sigma will also retrofit the mount of their Canon and Nikon glass for Sony E mount which is also a big deal since it saves photographers money. And I also got to put my hands on their new 14-24mm f2.8 Art Series wide angle and it is solid. The zoom mechanism and the manual focus mechanism are some of the smoothest that I have ever used on an auto focus lens. These really felt as if they were dampened like you would find with old school, helicoid manual focus lenses.